We tend to be a lot harder on ourselves than we are on others. If a friend told you they were feeling bad about themselves, you’d do everything you could to help pick them up. You’d never tell them they were useless, or that they were a failure. If we wouldn’t say those things to them, then why would we say those things to ourselves? 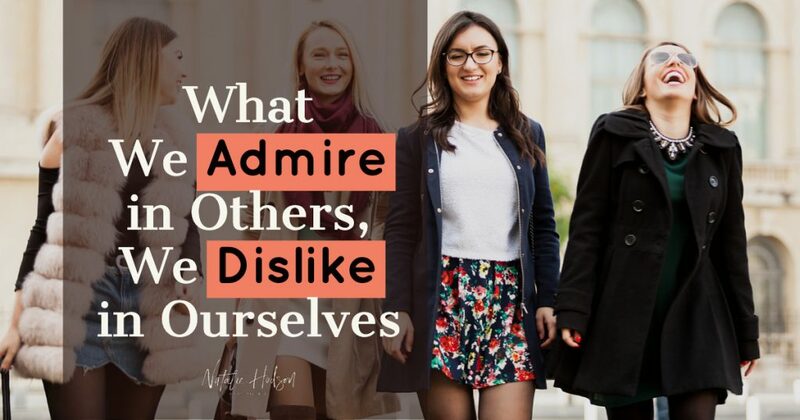 How we view ourselves is such a big part of our identity, self-worth, and motivation, so it’s important to take an honest look at the differences in how we view other people vs. ourselves for the same things. The truth is that we tend to admire others for overcoming struggles, but disliking ourselves for those same struggles. For me, understanding this idea has been so important in keeping me motivated and positive during my setbacks. I still have moments where I’m hard on myself, and I think that’s totally normal! Life is full of ups and downs, but when you’re down, I think it’s important to understand the power in your journey. I look at the people I admire, like Tom Bilyeu and Brené Brown, and the thing I admire about them is their journey in getting where they are today. They weren’t given their success, they worked for it. That grit and tenacity to stumble and get back up is why I love them and why I can relate to their story. That grit and tenacity to stumble and get back up is why I love them and why I can relate to their story. Tom Bilyeu is probably the one person who has impacted me the most in my life who I’ve never actually met. He talks about failing out of school, having no money, and lacking support from family at times in his journey. Honestly, I search “Tom Bilyeu motivation” when I’m looking for an extra boost because his journey is so profound to me. He went from scrounging in his couch for change to put gas in his car, to becoming a highly successful entrepreneur. Brené Brown’s whole philosophy is about how our struggle is what defines us and makes us who we are so that we can connect to others. She worked nights at AT&T taking customer service calls while in school, couldn’t find anyone to publish her first book, borrowed the money to self-publish, and later became a New York Times bestselling author. That story is a lot more powerful than, “she wrote a book, it got published, and she was successful.” There’s beauty in that struggle. The struggle is what we admire. It’s important that we all realize that we can take ownership of our struggles. Instead of failing, being unmotivated, or struggling through life and reprimanding ourselves for these shortcomings, we can use these struggles to endure. Each setback writes our stories a little further. We don’t admire people for having it all, we admire people for fighting tooth and nail to have it all! Hard things make us stronger if we persevere through them. Next time you find something about yourself that you dislike, rewrite that narrative in your head. Add that to your journey and find a way to endure. Hard things make us stronger if we persevere through them. Whether you dislike your finances, your body, your relationship, your drive, your whatever, know that there are people you admire for having those issues and fighting through them. You don’t admire those people in spite of those things, you love them for those things. I just finished reading “Can’t Hurt Me” by David Goggins who endured abuse, prejudice, and poverty as a child and later became the only man to complete elite training as a Navy SEAL, Army Ranger, and Air Force Tactical Air Controller. He talks about how human adaptation only happens when we are under pressure, which creates grit and character. The hard parts in your journey are working to help you adapt. You are strong, you are badass, and your struggles are a tool for you to be even stronger. Admire yourself for those struggles!